Speaking to Esquire magazine, Van Halen explains that last spring doctors found and removed cancer cells from his throat, and the following fall removed another small chunk of his tongue for the same reason. He explains, “I haven’t talked about this, because I don’t talk about this.” It had previously been thought that the guitar legend had been cancer-free for years following the initial 2000 diagnosis and treatment on his tongue. 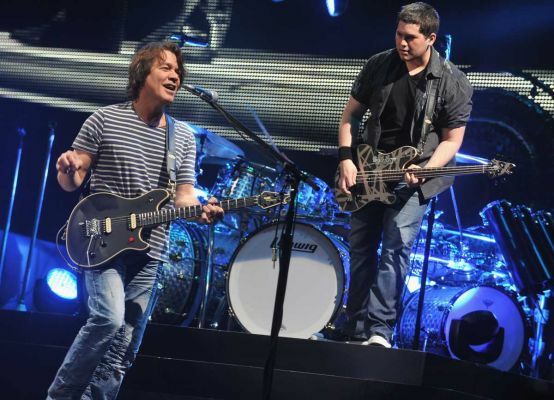 Much of the credit for the band’s recent flurry of activity after more than a decade away from record stores and arenas is given to Van Halen’s son, Wolfgang, who joined the band on bass at age 15. He current serves as their “field marshall,” choosing setlists, directing the band through rehearsals and helping select which songs made it to the new album. Read the entire Esquire interview here.